I’m going to be keeping this week’s report short and to the point because I’m forced to write it on my iPad while sitting at the kitchen table of a cramped and over crowded shack in the backwoods of upstate New York. Got to love visiting the in-laws. Oh and it’s going to be 95-degrees this afternoon and the humidity is so high that the stinging insects are having trouble finding enough traction on my sweaty skin to properly assault me. The moral of this story? Never take California weather for granted. Due to my limited technological access, I’m relying on last week’s Navionics Chart to get you pointed in the right direction. The good news is that the fishing has been consistent enough that everything still applies to an extent. 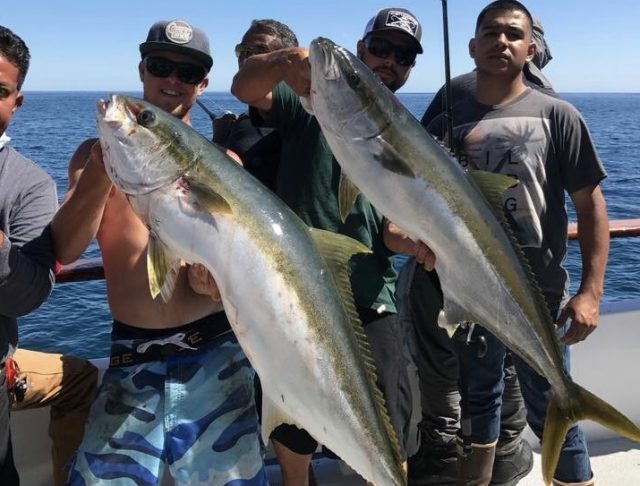 Starting up north the seabass are still biting for boats fishing the Channel Islands but the more consistent action lately has been on the yellowtail in the same general area. 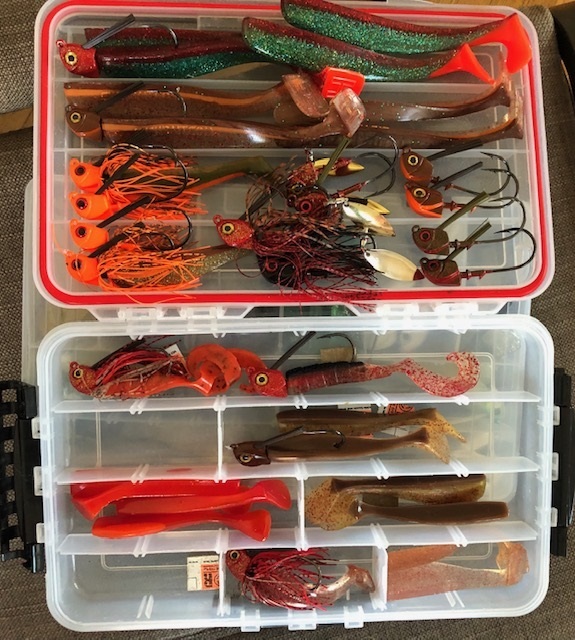 Your best shot at a seabass is probably going to be on an overnight trip because the best bites have been happening earlier than the full day boats are getting there. The bass and rockfish are also biting well at the islands as well as along the coast. 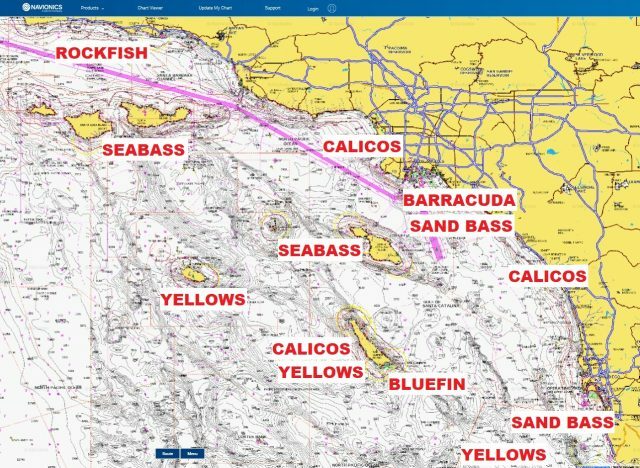 One change to the chart is that the seabass bite at Catalina Island is on the slow side but the 3/4-day boats fishing the island have been catching yellows with some big fish in the mix. These fish, caught aboard the Pursuit out of 22nd Street Landing show the size of the better grade. The yellowtail bite is far from wide open but there are lots of bass and barracuda to fill in the slack. The yellowtail bite is still off at San Clemente Island but the bass fishing remains excellent. There are still some seabass biting at the island but the bite is fairly inconsistent. 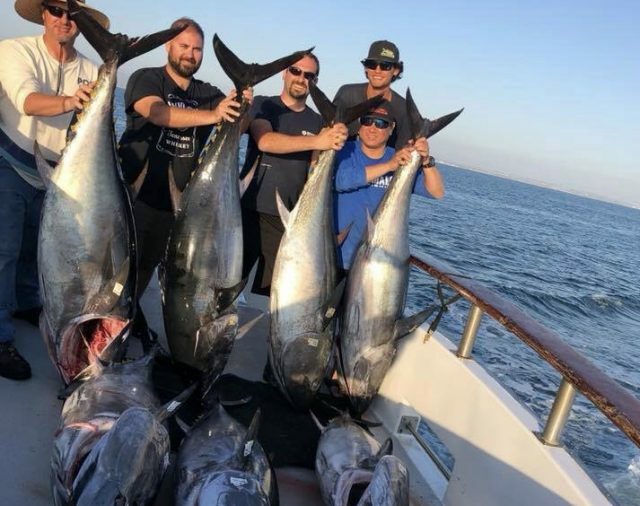 The bluefin are still stacked up below the island and some of the overnight boats got scores this week. The picture at the top of my column is from a trip aboard the Toronado out of Pierpoint Landing. The boat, like all boats fishing the area, reported seeing much more fish than they hooked. 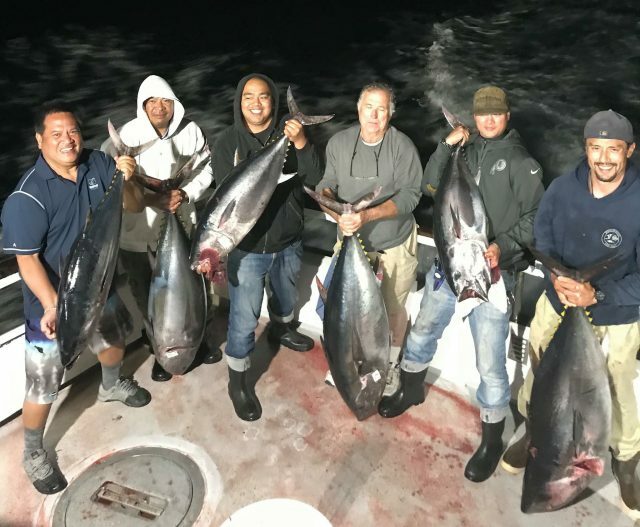 Overnight boats fishing out of San Diego have been scoring some bigger tuna, like these caught aboard the Pacific Queen earlier this week. 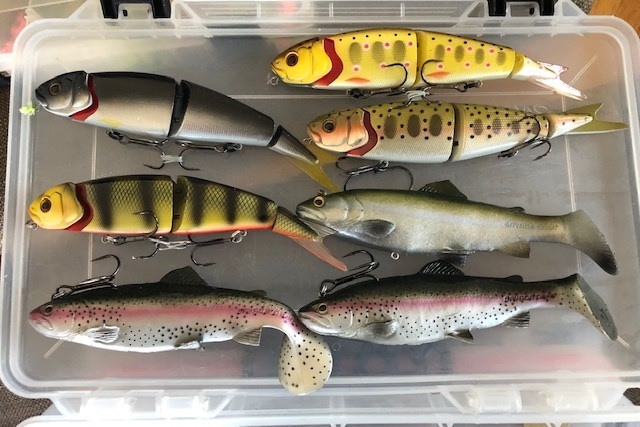 The bigger fish are mostly being caught with flat fall jigs on sport boats and by private boaters fishing the kite but a few are being hooked on poppers and live bait. 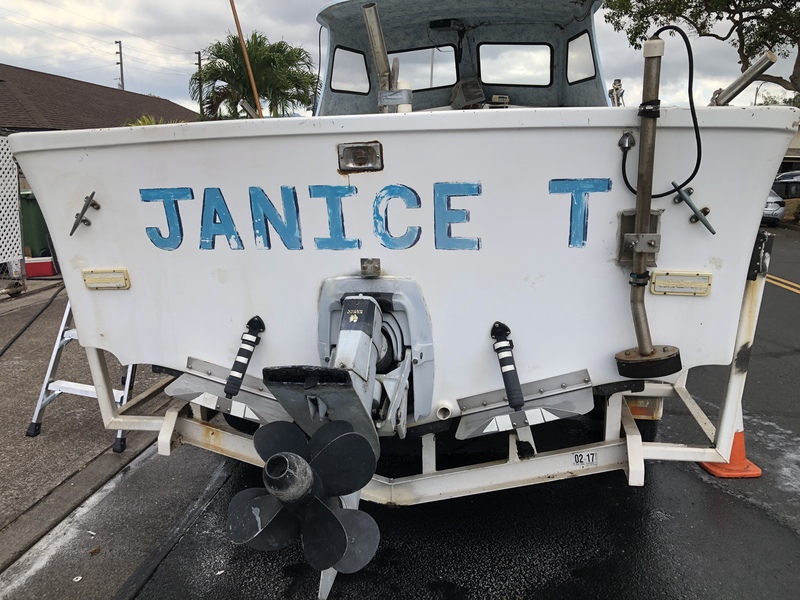 Boats fishing south of the border are also seeing a big influx of yellowfin tuna that I’m keeping my fingers crossed will bite better than the bluefin have been. 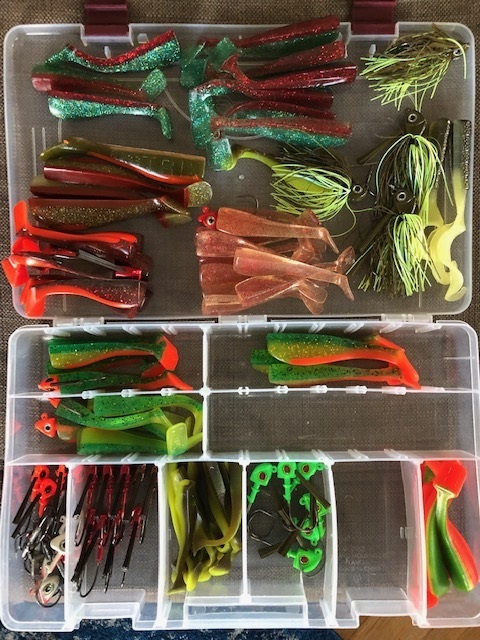 There will be plenty of offshore coverage this weekend so we should have a better idea of how the bite is come Monday. Finally there is some good fishing to be had along the coast. 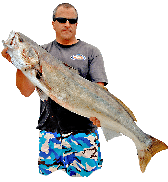 The bass are biting everywhere from Santa Barbara to San Diego and the barracuda are biting in batches along the coast with the best action still coming around the Horseshoe Kelp. There are also some migratory sand bass showing around the coast. 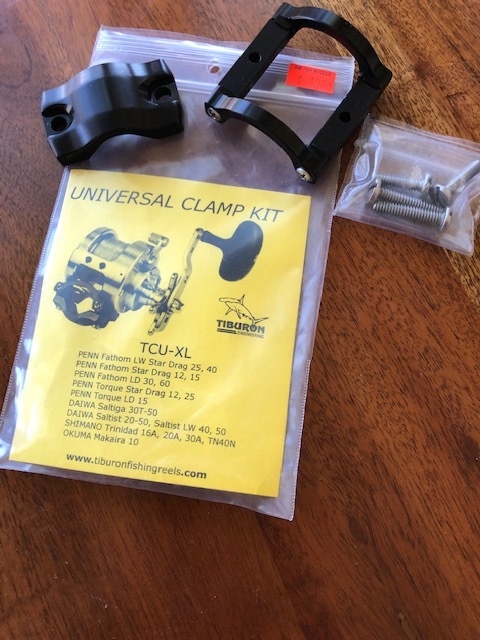 I fished out of Long Beach on Saturday and found spots of terns chasing small schools of migratory sand bass around in the mud off Huntington Beach. 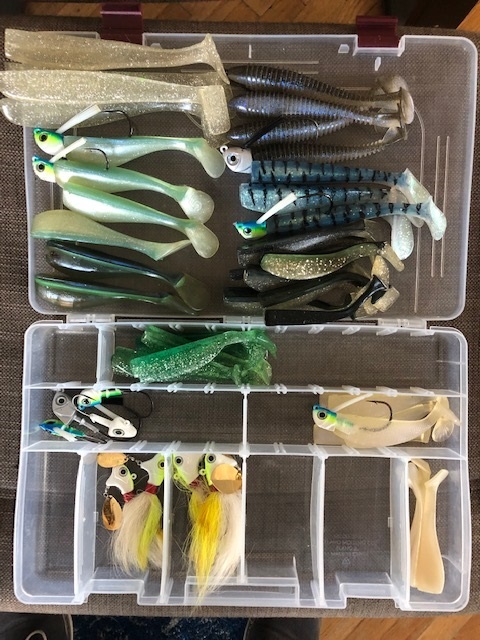 I was fishing a tournament so I didn’t invest any time in chasing the fish around but I’d imagine you could probably have some decent fishing if you had a little chum to keep the bass around the boat for a bit. My battery icon on my iPad just fell below 10% so I’m going to sign off before I lose everything I just typed. 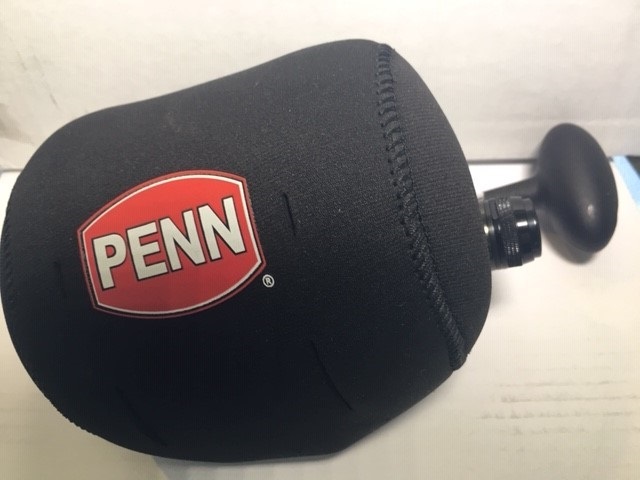 Catch a couple fish on my behalf this weekend and remember to be thankful that you live in Southern California.